The monthly Welsh language music periodical of the Welsh Choral Union. The periodical's main contents were articles on music, musicians and musical grammar, alongside news and reviews from the choirs and musical festivals and a musical supplement with each issue. 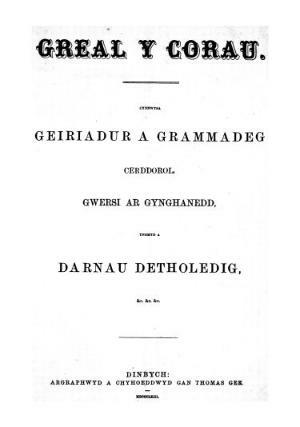 The periodical was edited by John Williams (Ab Alaw) and Lewis William Lewis (Llew Llwyfo, 1831-1901) until October 1861 and subsequently by Ab Alaw, Llew Llwyfo and Edward (Jones) Stephen (Tanymarian, 1822-1885).